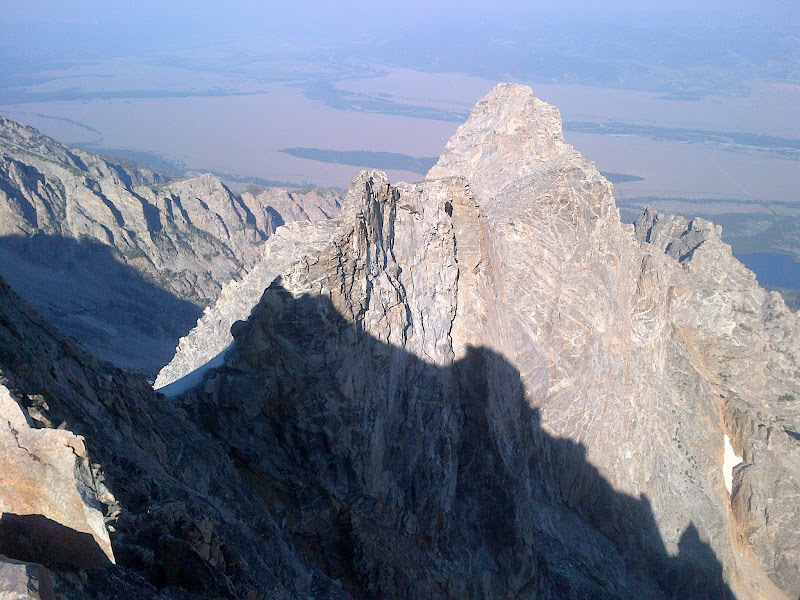 Perfect weather during a quick weekend trip to the Tetons lead way to doing the Cathedral Traverse on Friday (August 3rd), and the full Grand Traverse on Saturday (August 4th). It had been over a decade since I’d done the classic Grand Traverse and it felt great to be back on more technical terrain from my past. Conditions were perfect, with slightly drier than normal snow levels. It was amazing how much I had forgotten of this technical route, which many years ago I obsessed over. It’s a beta-intensive route, but I thought I would have remembered the nuances better than I did. On Friday I got off-route on the north face of the Grand and climbed up to a large impassible shield of ice and spent nearly an hour climbing up, and then back down, several very sketchy lines which I thought were the Italian Cracks, before I remembered I needed to traverse far left first. Once on-route I was reminded of just how good it is! While technically the “hardest” part of the route at 5.8 or so, the Italian Cracks section is probably some of the safest terrain as they’re actually on good rock as opposed to the rest of the choss-laden route. This was a reconnaissance trip and my objective was to learn it as well as possible, in hopes of returning to do it quickly at a later date. 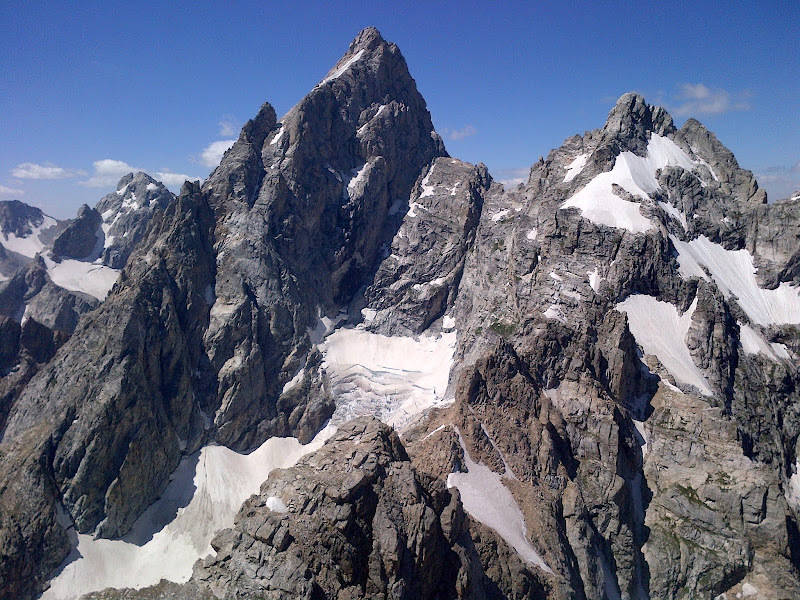 What a great trip, the Tetons are truly beautiful. 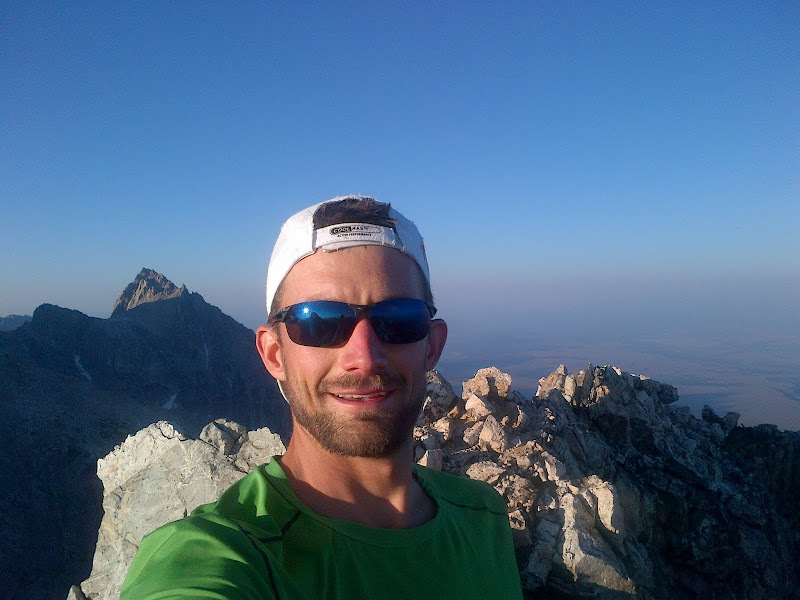 Mindy ran the “Teton Circumnavigation” with Adam Holmes and Erik Truhe and had a blast. Entire photo album from the trip here. Looking east from somewhere near Ice Cream Cone tower.